At just about two weeks old, a typical day for our triplet lion cubs includes filling their bellies with mom’s milk and figuring out how to get their limbs to cooperate with their will to explore. The boys have doubled their birth weight, now weighing between 6.7 and 7.9 pounds. Looks like we’ve got one milk hog in the litter, but don’t worry—all are within a healthy weight range. 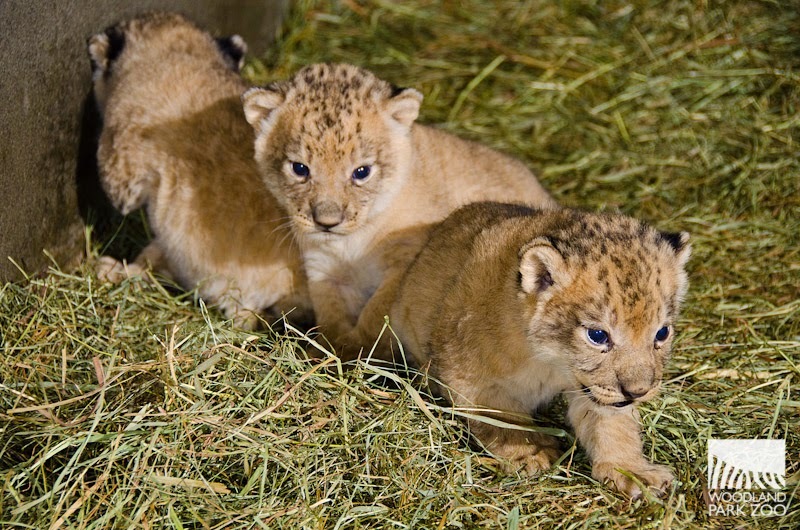 To make it easier for keepers to tell the cubs apart at a quick glance, each boy has been shaved in a unique spot. When they are all squirming around mom, wrestling for a cuddle or a spot to nurse, sometimes a quick glance is all you get! Mom Adia and the cubs are spending quality time together in a behind-the-scenes nursing den where they can have quiet and minimal disturbance. Keepers watch them via an internal video monitor to keep an eye on the family. So far, we only handle the cubs for quick weigh-ins as Adia is doing a great job caring for them. In the coming weeks, we’ll need to begin regular health check-ups and vaccinations with the cubs, so socializing has begun to get the family comfortable with the routine. When Adia goes outdoors for a few minutes at a time—for potty breaks and some quiet time—we use that time to weigh and check the cubs’ general appearance and socialize them to being handled a bit. We’ll continue this training, extending the shifts little by little, building up to the time needed for health exams. 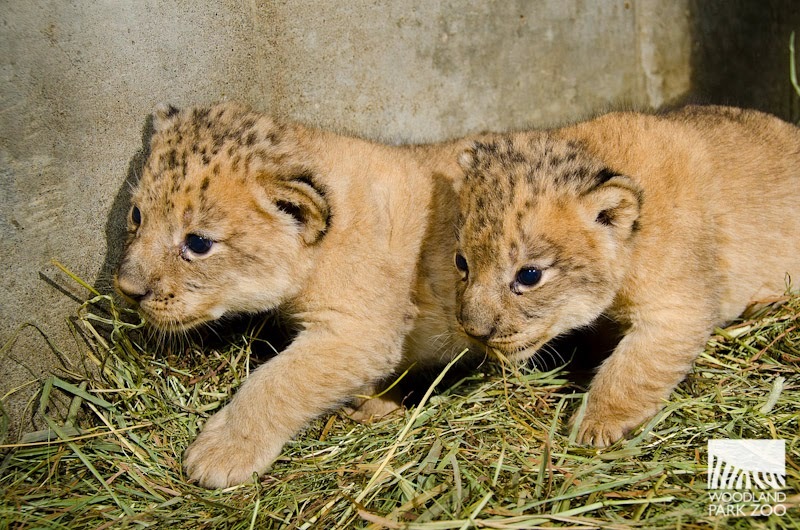 This way the lions are more comfortable with being away from their mother for brief periods. For now, lion lovers can look for Xerxes, the cubs’ dad, out on view at the exhibit, though viewing can be irregular in these early weeks. When the cubs grow a bit stronger and more coordinated, and of course when the weather cooperates, we’ll begin planning for their eventual debut! Until then, stay tuned here for more updates from behind the scenes. Any plan to let the cubs meeting their dad, Xerxes? I have seen the male lion (dad), the cubs and the mom all together in other zoo. Why Woodland park zoo can not give this a try? Yes, we do hope to have Xerxes with the family. Currently he has visual access to them every day and he is showing a lot of interest. We'll have to do physical intros next and that will be a slow and careful process. With her last litter, Adia was overprotective and would not tolerate the presence of the father around the cubs. We follow the cues from our animals and respected her instincts on that one! Hope we can see this kind of theme at Woodland Park zoo as well. 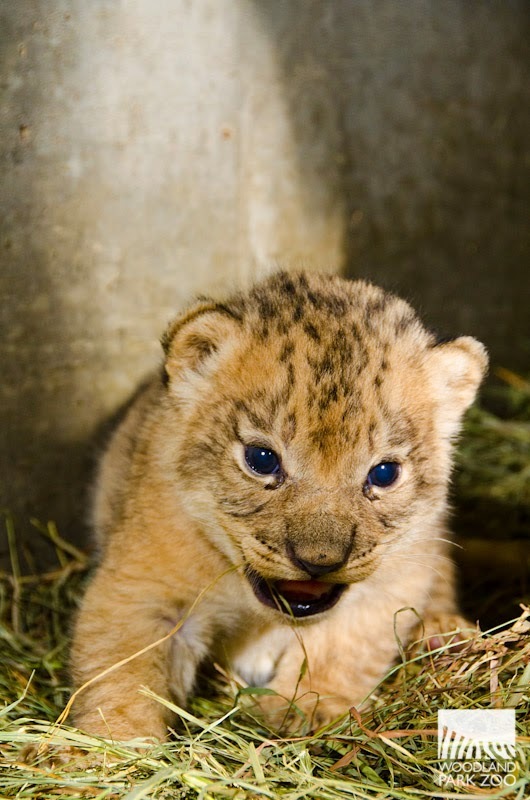 I take my son to the zoo once or twice a week but we have yet to see the lion cubs. When are the cubs most active? What are their outdoor play times? 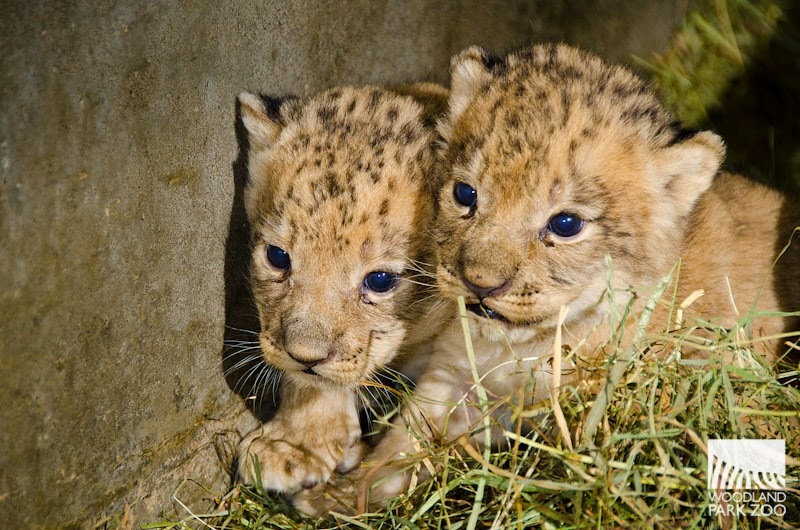 The cubs are often in their warm, off-view den. They come outdoors as weather permits. As spring arrives we expect to see the cubs outdoors more often. 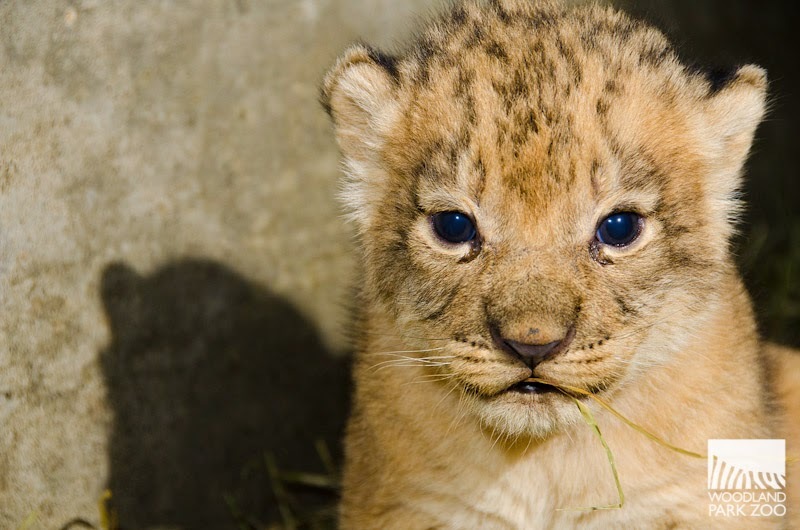 Please know that it will not be until late February/early March when we'll have a regular viewing schedule for the lion cubs, which we'll announce here. Until then, the viewing is opportunistic and hard to predict. Wow! Such beautiful photos. Since we've arrived in Calgary I've appreciated the tips and suggestions that I've found on your blog. Thanks!